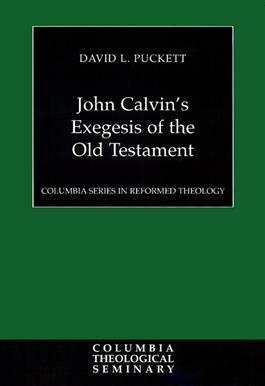 John Calvin's reading of the Old Testament was a departure from that of many of his contemporaries. He rejected much of the traditional Christian exegesis of the Old Testament that attempted to to explain it in terms of the New Testament revelation of Christ. He also rejected much of the traditional Jewish exegesis of the Old Testament that favored a more so-called historical approach to the writings. Instead he offered a middle way to interpret the Old Testament scripture with respect to both traditions. David Puckett examines this often-neglected area of study of John Calvin's exegetical reasoning in this comprehensive and fascinating analysis.